Whether you’re at a bar to meet friends or to meet new ones, the drinks that are being served are either Built, Shaken or Stirred….. but what’s the difference and why does it make a difference? Built drinks are things like a Rum and Coke or a Vodka with Club Soda – Glass-Ice-Alcohol-Mix-Garnish and Straw, EASY!!! Built drinks are the easiest of the three and 60% of drinks in a busy nightclub are made like this. What about the other 40% of drinks? 20% of drinks would be BEER!!! After that everything else is either shaken or stirred. 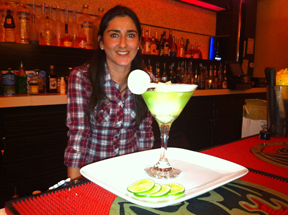 Bartenders all over the world have their own method of shaking and stirring with their own style and panache. With proper training you learn that although Ice is your friend in a lot of cocktails one doesn’t want to OVER dilute drinks with improper use of our frozen friend H2O. Whether stirring or shaking a cocktail ice should always be added to the mixing glass AFTER the ingredients have been added, this will minimize the dilution and result in a better cocktail. Stirring is a technique, usually reserved for ‘Spirit-forward’ cocktails (cocktails without any non-alcoholic ingredients) and is all about preparing a drink with ice to both chill and dilute the drink without bruising the spirit. Shaking is the most fun way of making a cocktail and has been taken to unbelievable levels of style by bartenders who want to impress their guests. A good shake can be the difference between a great drink and a happy guest or a bad one and a disappointed guest. Shaking not only chills a cocktail, dilutes it and mixes the ingredients together but it can also introduce air, texture or ‘mouth-feel’ to a libation. With the addition of egg whites to a cocktail like an Amaretto sour, when shaken can dramatically change the dynamic of the feeling that is experienced when sipping on it. Question: Whats the best method to use? Answer: It all depends on what drink you’re making. So, grab your shaking tins and bar spoons and figure out how you are going to build, shake and stir with passion, style and your own little twist. As a bartender, I frequently deal with guests who have misconceptions about the cocktails I make. People tend to drink beverages with little or no flavour other than the lime that is squeezed into their lowball. It is a little beyond me why someone might want to drink something that tastes like nothing, but my own pre-conceptions aside, everyone is entitled to drink what they want. Far be it for me to tell you what you like! Give me a chance and I will certainly show you my version of a well balanced creative cocktail, and if you dont like it, I will buy it for you and you can go back to your vodka soda. I have recently purchased a house with my fiancé, in one of my most unfavoured places, Oshawa, Ontario. Commonly known as “the SHWA”, “the SHWIGGEDY”, I had my own misconceptions that had always had a sour taste in my mouth about this place, that was until I recently met my new neighbor Missy. She welcomed us to the neighborhood with a bottle of gin from her late husband. “I can’t stand the stuff”, she said with a scrunched up face. That was my cue to show her what a wonderful backbone a good Gin could be in a cocktail that was lovingly mixed. I had never tried this particular bottle, but I played with it a little and when I was happy with a new gin cocktail that worked with this particular spirit, I decided to invite Missy over for a to taste it. I proceeded to mix her up a cocktail that was adapted from a bartender I met years earlier, but worked particularly well with this spirit. 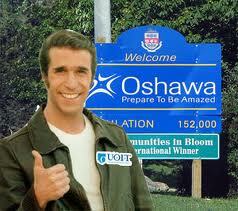 I have recently purchased a house with my fiancé, in one of my most unfavoured places, Oshawa, Ontario. Commonly known as “the SHWA”, “the SHWIGGEDY”, I had my own misconceptions that had always had a sour taste in my mouth about this place, that was until I recently met my new neighbor Missy. She welcomed us to the neighborhood with a bottle of gin from her late husband. “I can’t stand the stuff”, she said with a scrunched up face. That was my cue to show her what a wonderful backbone a good Gin could be in a cocktail that was lovingly mixed. I had never tried this particular bottle, but I played with it a little and when I was happy with a new gin cocktail that worked with this particular spirit, I decided to invite Missy over for a to taste it. I proceeded to mix her up a cocktail that was adapted from a bartender I met years earlier, but worked particularly well with this Gin. 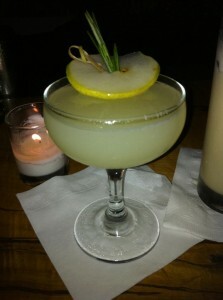 Gin and Pears and Rosemary, Oh My! On March 11th of this year, I traveled to New York to experience some of North America’s finest Speakeasies and Mixology bars. With only having one amazing speakeasy in Toronto, we were eager to head to the Big Apple and meet the bartenders that compete in Tales of the Cocktail in New Orleans. Have you wished you could jump behind a bar with hundreds of ingredients, tastes, and ideas and be able to create the cocktail of your dreams? On April 4th, 2011 the BartenderOne Bar Chef Finals took place at Empire Lounge in Toronto in Yorkville. As students, the mixologists had completed tasting over five hundred different spirits, bitters, liqueurs, sweeteners, types of citrus, infused foams and spirits, along with homemade syrups. As mixologists, the students were asked to create an original cocktail from each of the 5 spirit categories. The cocktails could have been made with anything that the mixologists could think of; but were required to hold dear the traditional balanced cocktail theory. While they did have guidelines for balance, there were none for flavour profiles or presentation. Mixologists could incorporate elements that were taught in class such as: infusion, fatwashing, bruleeing, molecular mixology, spherification, custom foams, misting and much more. Regulars – The Life Blood of your Business! 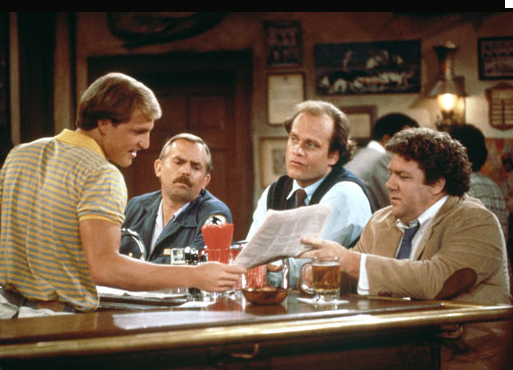 Cheers is a fairly good example of keeping your regulars. Everyone knew everyones name - It was almost a family! 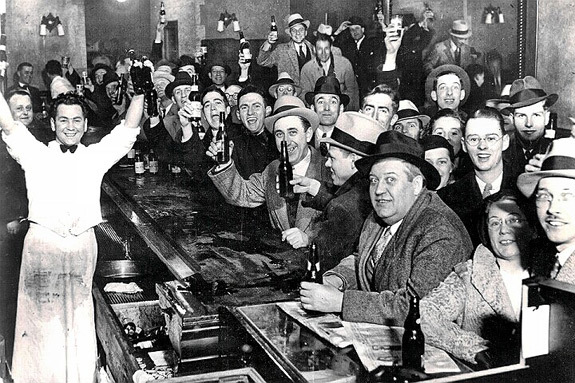 Most bars have a small group of regular clientele that frequent their establishment. They are the loyal clients who, more often than not, tip well and don’t ask for any special kind of service. In many cases they are the types who spend thousands a year in your bar or restaurant. They are the cornerstones of your business, you certainly can’t afford to lose them, so the question clearly is how do you keep them and how do you get more of them? Where has all Your Profit Gone? 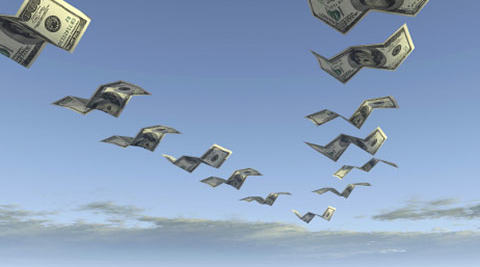 Your money is flying away; you'd better catch it! 2011 is going to be an amazing year. The economy is coming out of a recession, people are opening their wallets again, and sales outlooks are all positive for the next 12 months. 2011 will also be a banner year in terms of opportunities to invest in your business. At times like these, traditional service industry staff turnover rates of 50%-65% plummet; and the employees in your bar are more loyal than ever before. This column will be a four part directive for making your bar more profitable through systems and training. I’ll give you techniques and numbers that will make your bar more profitable… Guaranteed. In this issue, I’ll be discussing commonly overlooked areas where your bar is bleeding money. In the next issue I’ll tackle the importance of training your staff to stay ahead of industry trends so you’re offering beverage products and service that will make your guests come back for more with cash in hand… read on!